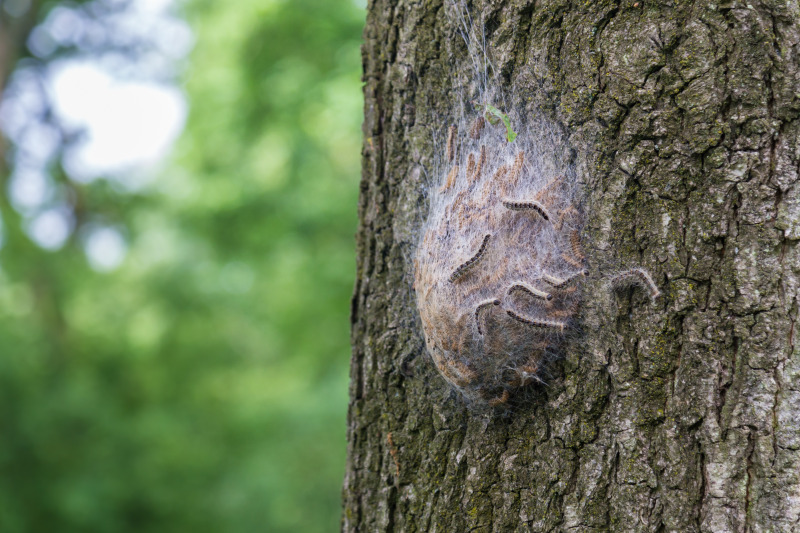 Defra has introduced legislation, which comes into force today, to protect oak trees against the imminent danger of introducing Thaumetopoea processionea (oak processionary moth-OPM) into the OPM Protected Zone through import and movement. This year has seen the population of oak processionary moths explode. The species, which is not native to Britain but has become established in London and several surrounding areas over the past 12 years. OPM caterpillars cause significant damage to oak trees and can pose risks to human and animal health. The caterpillars are capable of defoliating large areas of oak trees, whilst the hairs on their bodies also act as an irritant to humans and animals if they come into contact with the caterpillars or their nests. The new legislation applies to oak trees (Quercus L), other than Q. suber, with a girth at 1.2m above the root collar of 8cm or more. Such trees represent the greatest likelihood of introducing OPM, says Defra, hence the need for strengthened requirements. Existing requirements on OPM freedom continue to apply for trees with a smaller girth than 8cm. Have been grown throughout their life in a site with complete physical protection against the introduction of Thaumetopoea processionea L. and have been inspected at appropriate times and found to be free. The Forestry Commission has operated an OPM Control Programme since 2013. As part of this Defra has set policies and control restrictions on the import and movement of oak trees to limit the spread of OPM. OPM is an established pest in London and surrounding areas, but the majority of the UK is designated a Protected Zone and we have strengthened protection to mitigate the risk of introducing OPM into the UK OPM Protected Zone.